This is a very difficult species to identify as there are other similar species and certain identification requires detailed examination. 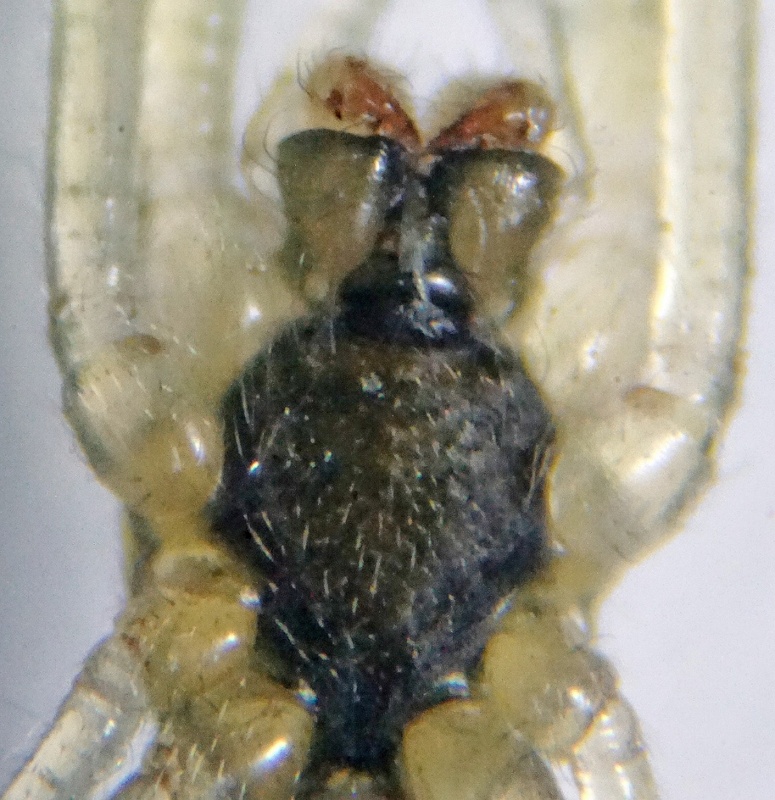 If we cannot be certain that an image is T. montana but it is likely to be this species, it is highlighted in a red box. Orb webs of this species are found on trees, bushes and low vegetation in a variety of habitats, mostly at low altitudes. 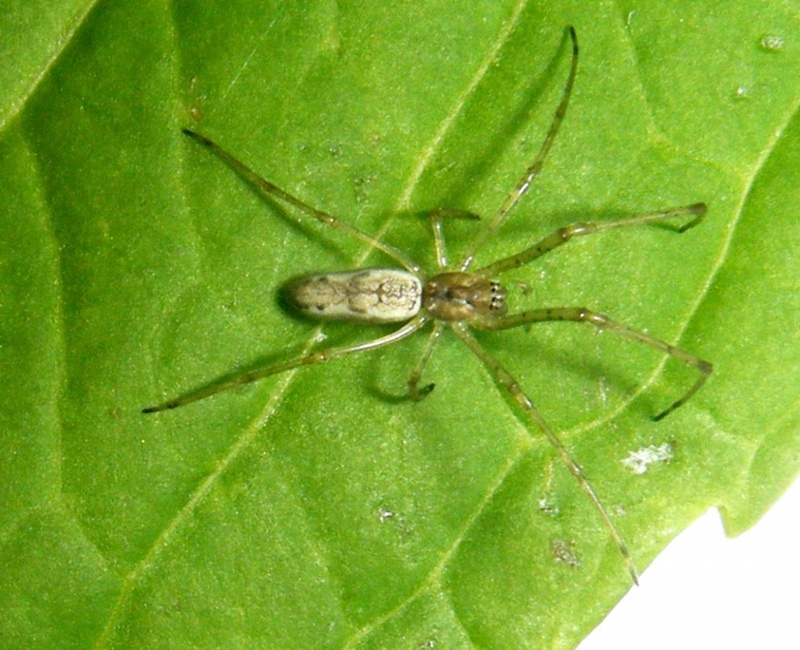 It may be found close to water but is less closely associated with wetland habitats than T. extensa. 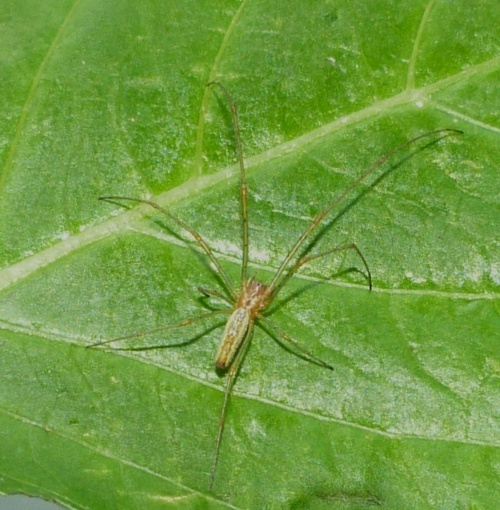 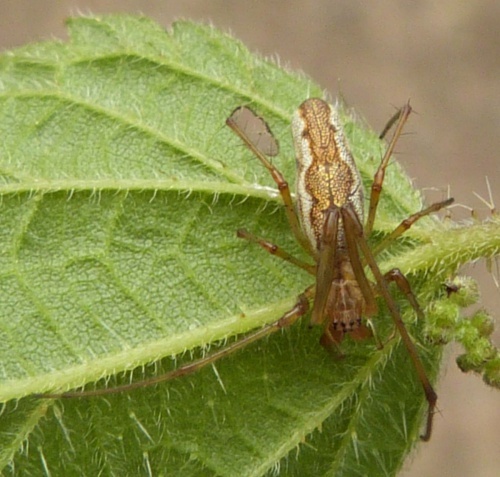 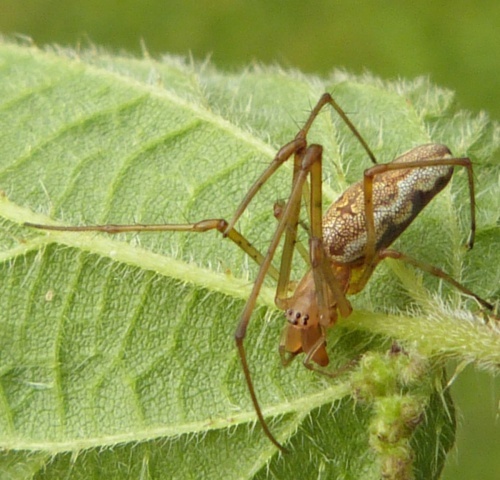 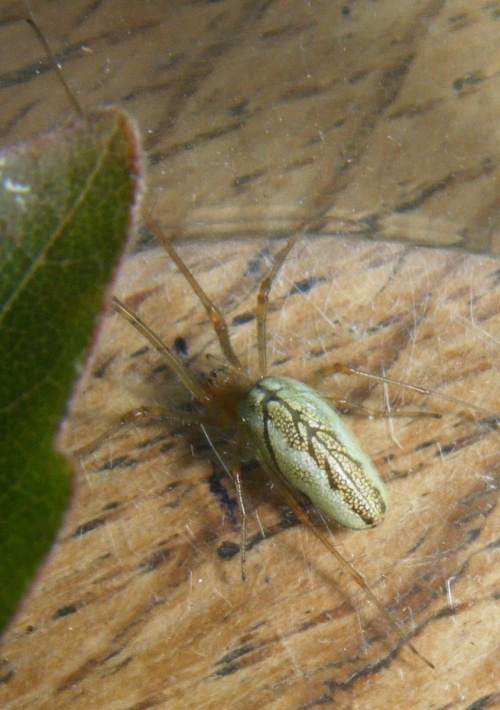 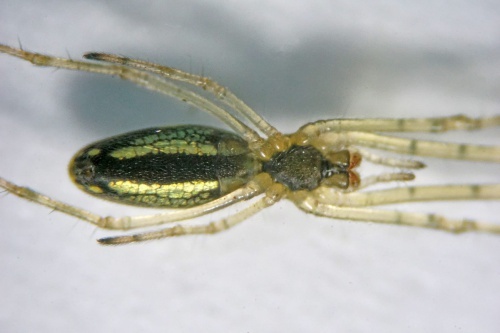 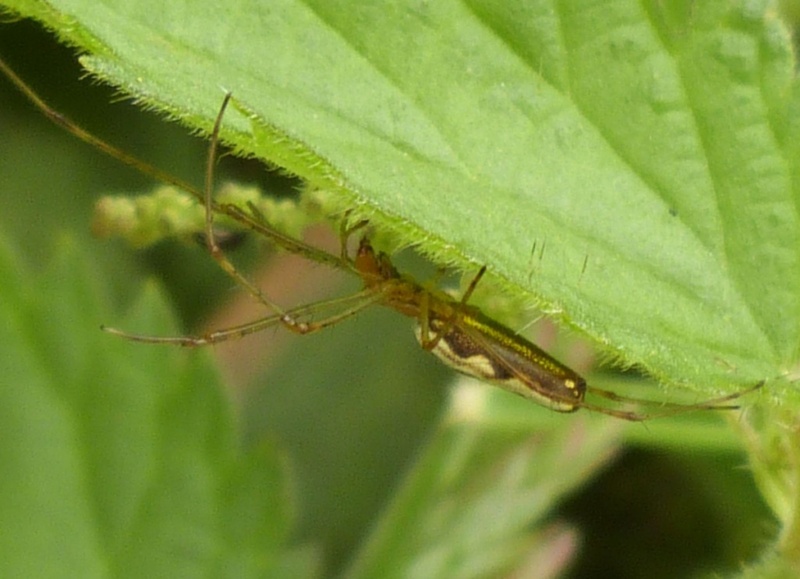 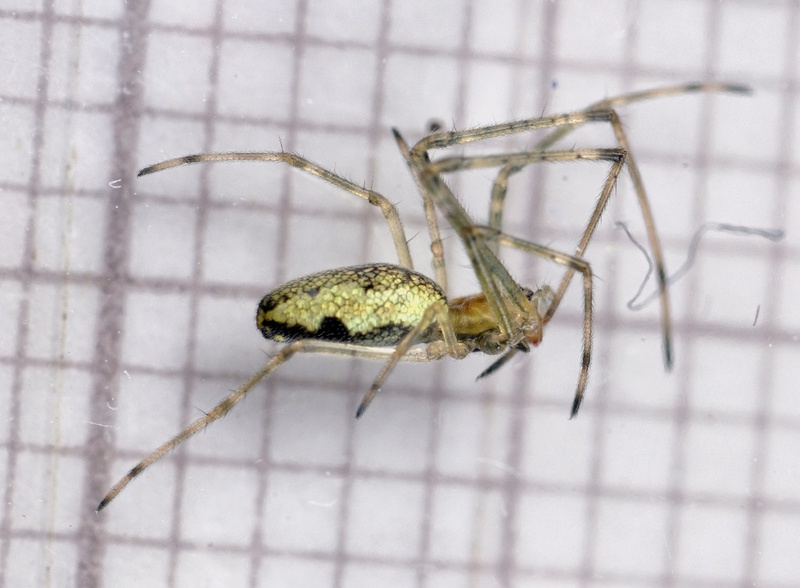 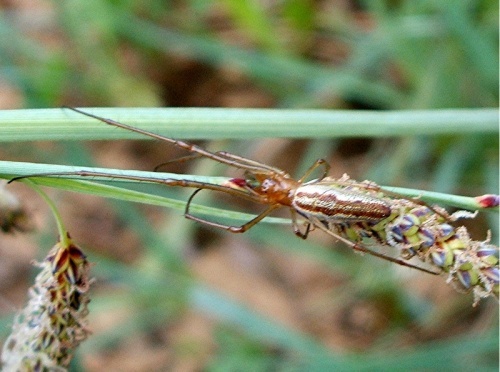 All the Tetragnatha species adopt the habit of stretching their legs out in front and behind to produce a stick like effect and can be very difficult to detect. 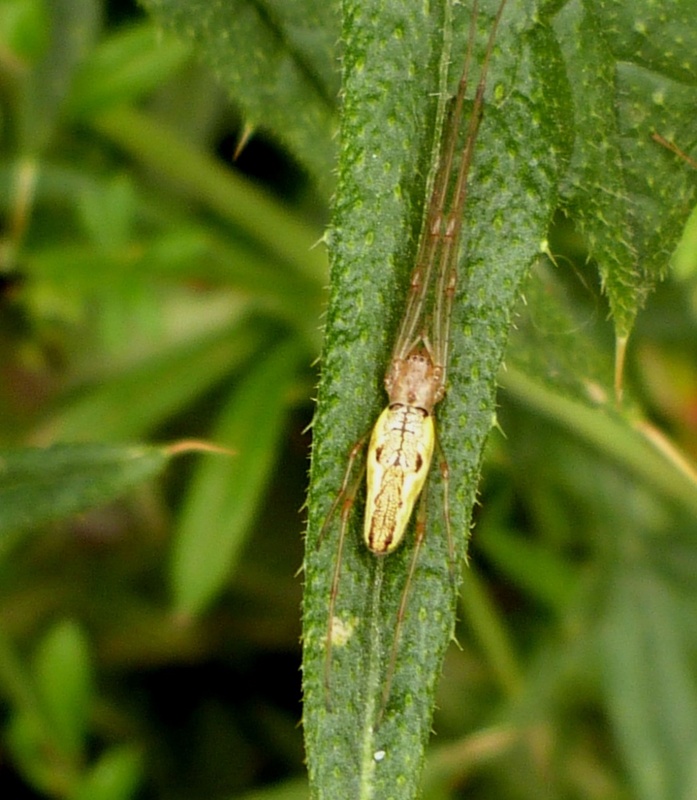 Very common and widespread in southern Britain, becoming scattered in the north.